Once upon a time, there was a family of 4, a father, mother, daughter and son. This family of 4 always spent lots of quality time with family. The mother’s family was from Evansville and the father’s family was from West Virginia. Growing up, this family had many traditions, including many Easters spent in West Virginia and many Thanksgivings in Evansville and a few Christmases when the kids were babies. As the kids grew up, the daughter ended up loathing travel for the holidays. After all, that was the time that all her friends had plans and wanted her to be a part of them, that was a week or more out of school that she should be spending with her friends. The brother never seemed to mind spending the holidays away as much as the social butterfly daughter with a friends only agenda. He enjoyed the “nothing to do” country scene and spent his time hunting or fishing with the father and grandpa. Every trip to Evansville seemed to cause more boredom than the previous trip for the daughter. It was the 90’s and her grandparents lived in front of a cow pasture in the middle of nowhere with no VHS player or cable. No call waiting and no long distance either. The daughter finally started bringing her own VHS player and hooking it up in the basement of her grandparents house and spent her days watching every movie imaginable and writing scripts for movies because there was nothing else to do. She and her brother spent time feeding the cows and playing with the neighbor’s husky pups and the neighborhood basset hound Buford. The only thing enjoyable about the trips to Evansville was when A League of Their Own was filmed there and the daughter was able to visit all the sites and see first hand for herself how awesome the magic of movies was; not that she didn’t already know. The family became busier and busier as the kids got older. FINALLY Christmases and Thanksgivings were spent in town, at the family’s house and the grandparents would drive up from Evansville for a week or two at a time to visit. This made the daughter happy and the son was happy too, even though he still scheduled mini trips to Evansville to hunt with family from time to time. The grandparents would come up for 2 weeks at Christmastime. They would bring Little Debbie Dunkin Stiks and cinnamon pin wheels. They would also bring Christmas happy meal toys from McDonalds along with our present of cash in a bright red envelope, sometimes with a $2 bill included for fun. The parents enjoyed having a built in babysitter so they could finish Christmas shopping and the daughter enjoyed not having to miss time with her friends. The mother and grandmother were very close. Secretly, I think the mother loved that the grandmother did dishes every night and laundry too. Oh and speaking of laundry, it was always folded in the living room during All My Children or General Hospital and the washcloths were always folded diagonally, not in a square. The mother hated the drama of soap opera’s but the daughter always enjoyed the “green light” to watch them when the grandparents visited. The grandparents also started visiting for a few weeks at a time during the summer. They would help with the mother’s annual yard sale and visit with the family. As the kids got older and their lives got busier, they realized it was a good thing that the grandparents came to visit so they could spend some family time with them. Years passed, and the grandmother became sick. The mother invited her to come live with her family so that she could take of the grandmother. The grandmother agreed and came to live with the family. Under the mother’s care, the grandmother improved and was able to move back home. After a few rough winters with several bouts of pneumonia and congestive heart failure, the grandmother passed away. Life changed, and the grandfather had a double knee replacement surgery and was wheelchair bound for over a year. He was no longer able to drive, so the visits to the family ended. No more Christmases with dunkin stiks and pin wheels, no more summer visits with General Hospital and diagonally folded washcloths. No more stories from the grandfather about how he met someone at the local Dairy Queen that was “looking for her”. The daughter thought she was tired of the story after hearing it for 15 years, until it was no longer told to her. The grandfather started showing signs of dementia and was placed in a nursing home a few years later. Visits were made to the nursing home by the mother and father and sometimes the son and daughter. It was sad. It was lonely and the grandfather wasn’t the same. The mother would send Christmas gifts and decorations for his room and the uncles would visit and take photos of the grandfather’s progress. The grandfather had his good days and bad and many ups and downs. He passed away in his sleep on January 18th, 2016 at 86 years of age. There is a piece that will never be filled quite like it once was. The annoying trips to the middle of nowhere with no VHS player, the many hours conquering boredom by writing pages and pages of scripts, the staying home on a Friday night because the parents said the grandparents were coming to visit, the long visits during Christmas breaks and the long visits in the summer. The daughter is this girl writing this, and this girl will miss all of those things. My heart hurts a little around Christmas every year, thinking about the feelings of pure excitement my brother and I had when our grandparents would come up during our Christmas breaks. Excitement because their arrival signaled the start of Christmas break. Excitement because grandparents always brought the best candies and goodies, excitement that Christmas was just weeks away. A few months ago I spoke to my cousin about this and she felt the same way. If only we would have appreciated it more back when it was happening. But, that’s how things go….hindsight, you know? This chapter has ended but we will forever have our memories. My only hope is that our own kids have fond memories to look back upon. That they will be able to tell stories about their parents taking them on annoying, boring trips to visit family. Though it may seem like the craziest thing in the world during those younger years, those memories will be the ones they treasure when they are parents themselves. Rest in Heaven Grandpa, I wish you eternal life with Grandma, that includes plenty of bingo, sweets, story telling, vegetable soup (with the corn picked out) and music. Christmas, around 2 years old. Sitting on my grandparents old green striped couch. My Uncle Randy and Aunt Brenda’s wedding. I was upset because I decided at the last minute I didn’t want to be the flower girl, but I wanted to wear the dress. Thanksgiving at my grandparents house. I have no idea why my brother looks like he’s auditioning for a Coke commercial. My Christmas wish to you is simple. Love Jesus, Love family, Love yourself and love to love. Christmas was hands down my most favorite holiday growing up. Gifts played a part in that of course, but I really, honestly, believed in the magic of the season. My brother and I would put up lights around our bedroom ceilings and windows, we would decorate trees for our rooms, we would sing Christmas songs together, go to Church programs, help my mom bake her famous sugar cookies and sit and listen for reindeer hooves on the roof on Christmas Eve. We were in the moment and loving every second of the season. When Brayden came along, I tried my hardest to make sure he had some Christmas tradition in his life and I worked so hard to make Christmas the most wonderful time of the year for him. I wanted him to feel how my brother and I felt every Christmas. Somewhere a long the way it got really hard to even accomplish the basics. The other night I was having (dramatic girl voice) “the worst day ever”. I cried and it’s like a faucet turned on and I couldn’t stop crying. I was to the point of never using Instagram again. I couldn’t handle seeing ONE MORE PICTURE of families at Yuletide, Christmas at the Zoo, downtown, baking together or basically any Christmas related task. I was so stressed about getting wrapping done, all my shopping done, getting the playroom cleaned up and ready for the next round of toys to come home from Christmas gatherings and only a billion other things. This was after working about 45 hours last week and a few nights getting home when Mason was already asleep, which basically rips my heart into pieces and feels like the pieces are being stomped on. I don’t have time to bake or have Christmas craft time with my kids; I barely see them during the week! And scratch any type of baking in general because I haven’t had a few extra hours to do it—even on the weekends. I will say that the intention was there though, which is why I have 4 bags of mini chocolate chips in my baking cabinet and 2 bags of coconut and about 5 different types of flour. I tried to have a family night one night a couple weekends ago and drive downtown to see the circle and tree, and Brayden complained after about 10 minutes because all he wanted to do was get to Target to get a toy. We did get to make a very quick trip to see Santa last Friday though, we saw Santa, grabbed take out and headed home since the boys were both hungry. Brayden didn’t want to watch a Christmas movie, so Brock and I sucked it up and bought Minions for him. I feel like a terrible parent this time of year because on a normal day, I’m basically just trying to keep my head above water. Throw in the fun activities and tasks that Christmas brings and I’m spent. When did this happen? When did normal every day things come between the joy I used to always feel at Christmas? The even bigger question is….what do you do to fix it? I have to have a job, our kids have to go to school, homework doesn’t stop, evenings don’t get longer, houses don’t clean themselves…. I mean, there are some really crappy things happening around the world right now. I think a lot of people wonder if it will ever get better or become a kinder place to live. It makes me very thankful for what God has given to us. Here’s what I do know, even with all the crazy I listed above, as with anything in life, it just takes one person to take the lead. Start leading by example, start making kindness contagious. Good ol fashioned pure kindness and genuine love. One by one, and after a while it will make a difference. Love to love. Tell your kids you love them often, your spouse, your parents, and friends….mood boosters like that are passed on when you make someone else’s day. Love Jesus. After all, Christmas is the celebration of His birth. A few days ago, when I was having my “worst day ever”, the only thing I knew to do was get my Bible. Only, I couldn’t find it. So, I ended up with Brayden’s Bible, reading chapter after chapter. The more I read, the more I could feel my insides unwinding and my mind calming down. I prayed for Him to lead me down the right path and for my family and I to never forget the reason for the season of giving and to always be thankful for what we have. Love yourself. You know what they say? You have to love yourself before you can love others. Make good decisions, get your health on track, do something nice for someone else, pay it forward, have more friends nights, have more date nights. I’m personally taking my own advice on this one. Life gets complicated and extremely busy, but I need to plan ahead more. I will probably be just as busy next year, maybe busier, but there has to be a way to squeeze more time out of the day for family. My goal for 2016 is to schedule a date night more than 2 times a year, and around the holidays I will make a calendar of events I would like to take the kids to, so everyone knows in plenty of advance so we can all plan our schedules accordingly. 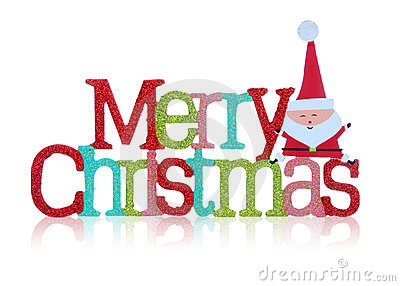 I wish you a wonderful, fantastic, super, stupendous, slap happy, amazing, joyous MERRY CHRISTMAS.